A four-alarm fire heavily damaged two buildings on Madison Avenue and displaced 20 people on Wednesday evening. A firefighter injured battling the blaze was taken to St. Joseph’s Regional Medical Center for treatment, officials said. Fire at 1007 and 1005 Madison Avenue came in at 5:15 p.m. Firefighters had much of the flames under control and continued to operate on hotspots at 9:15 p.m.
Officials said there were no civilian injuries. The American Red Cross is providing emergency assistance, temporary lodging, food, and clothing to 13 people or three displaced families. Cause of the fire remains under investigation, official said. 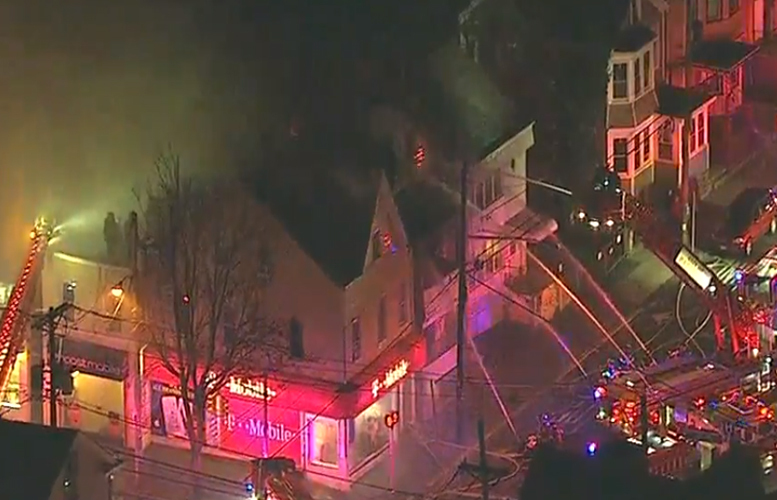 The Passaic County Prosecutor’s Office was notified of the large fire.